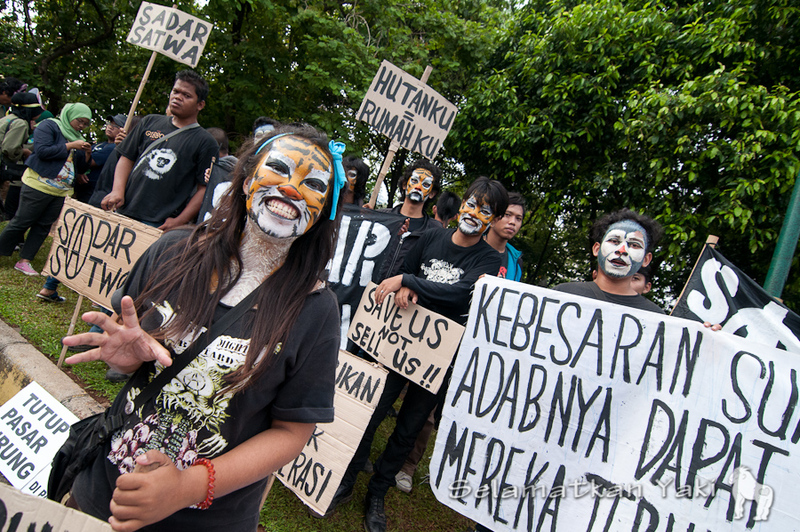 Selamat hari bumi!…Happy Earth Day! Sunday the 22nd marked Earth Day, a symbol of global connectivity and action; yet, not only a day…explore some of the green ways you can get involved. 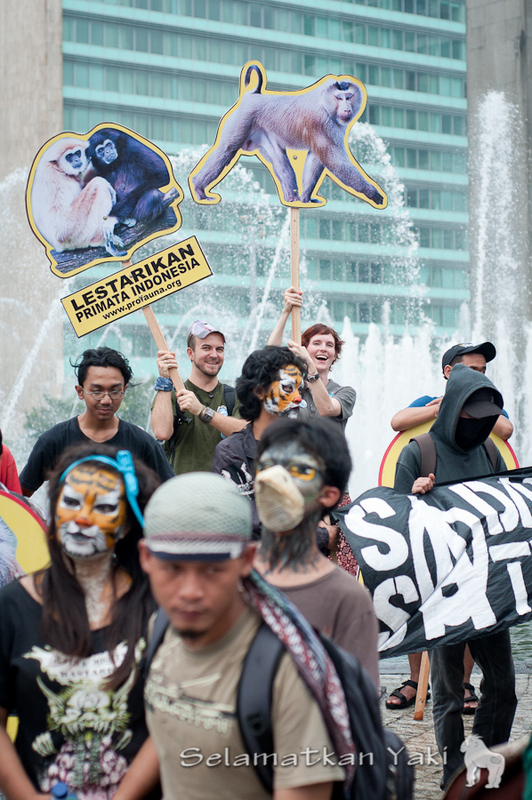 Currently in Java, I grabbed the opportunity to attend a march in the island’s capital Jakarta, a collective stomp of a few hundred animal welfarists and conservationists to call out against the cruelty of wildlife trade, especially focussed on the huge amounts of animals sold here in markets. 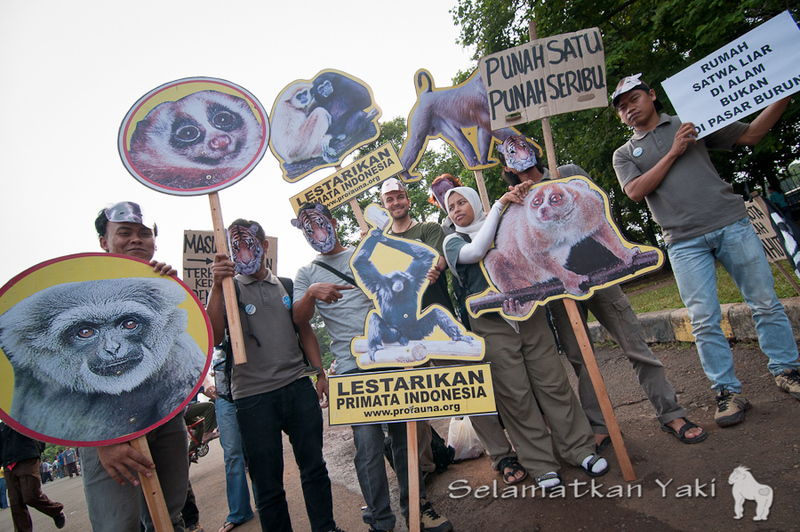 This entry was posted in Uncategorized and tagged Indonesia, macaca nigra, manado, monkey, north sulawesi, primate, Tangkoko, yaki by ~Selamatkan Yaki~. Bookmark the permalink. happy earth day mister. 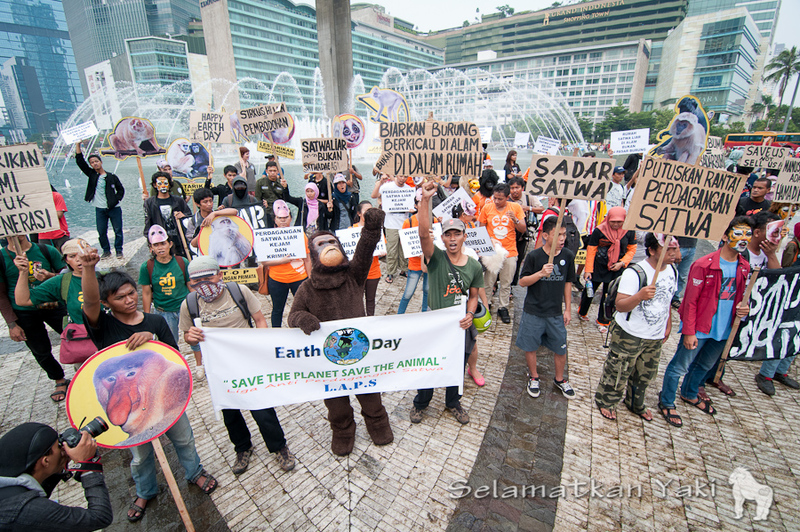 it’s late to say, but never too late to saving teh earth.